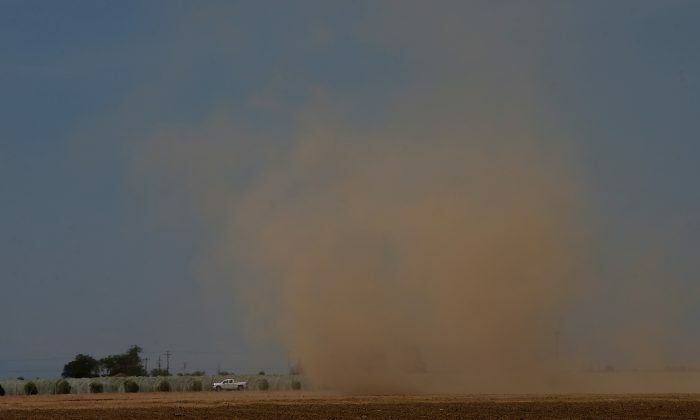 A deadly fungal disease found in soil and spread by wind in California’s Central Valley is on the rise, with an increase of hundreds of new cases. Documented cases of Valley Fever increased by 11 percent in 2018, according to the California Department of Health (pdf). Officials found 7,886 cases versus 7,090 cases the previous year. The number of cases in the first half of 2018 increased dramatically as opposed to the previous year, with 1,100 cases in January alone. There were at least 534 recorded cases every month. And the number of cases might actually rise when final figures come out in March. The increase in recent years has been dramatic—in 2000, just 816 cases were seen statewide. In 2012, more than 4,000 cases were recorded. During that time period, an average of 78 deaths occurred annually from the disease, according to death records. 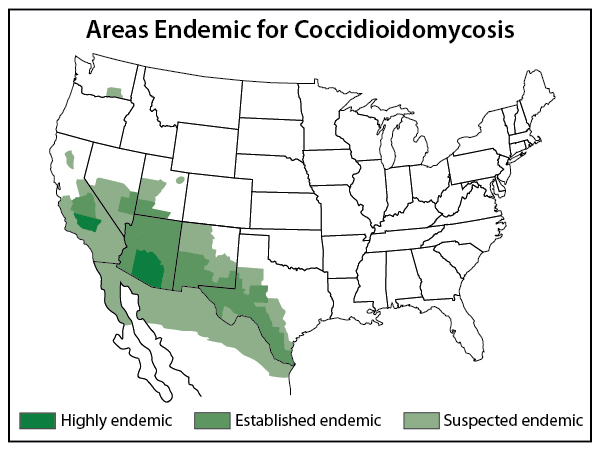 According to the Centers for Disease Control and Prevention (CDC), Valley Fever, known as Coccidioidomycosis among medical professionals, is an infection caused by a fungus that’s known to live in the soil in the southwest United States as well as parts of Mexico, Central America, and South America. “People can get Valley fever by breathing in the microscopic fungal spores from the air, although most people who breathe in the spores don’t get sick. Usually, people who get sick with Valley fever will get better on their own within weeks to months, but some people will need antifungal medication. Certain groups of people are at higher risk for becoming severely ill,” the CDC stated. The fungus spores circulate in the air after contaminated soil and dust are disturbed by people, animals, or the weather. The sports are not visible to the naked eye. When people breathe in the spores, they’re at risk for developing Valley Fever. As the cases increase in California, one piece of advice to people is to drive will rolled up windows while traveling along Interstate 5 and Highway 101, where the highest rates are found. “While driving through these areas, drivers could keep car windows shut and use ‘recirculating’ air conditioning to reduce the risk of Valley Fever,” Corey Egel, assistant deputy director of public affairs for the California Department of Public Health, told the Chronicle. Because of a wetter winter than normal, the number of cases could be even higher this year, with a spike expected starting in May. “There is concern that we’ll see another record number of cases in California this year,” McHardy said. Federal officials are also trying to figure out how Valley Fever recently spread to Washington state, with the first Valley Fever cases detected in 2013. 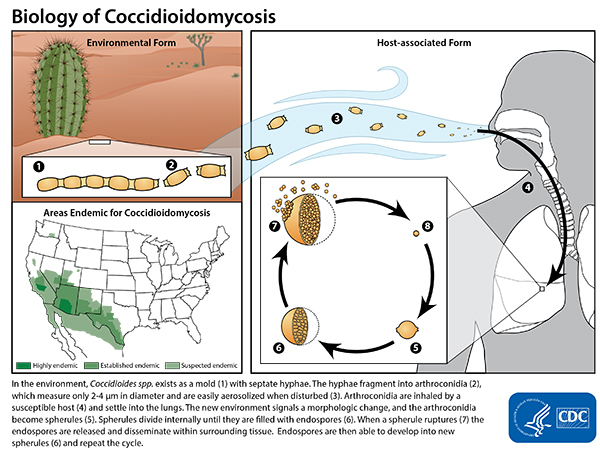 “After this discovery, many unanswered questions remain: How widespread is Coccidioides in Washington? How did it get there? How long has it been living there? Information about where a person was most likely infected with Valley fever, how strains are related, and which areas could pose a risk is essential for raising awareness about the disease among public health officials, healthcare providers, and the public,” the agency stated.